Reality shows that cyber attackers consider mid-sized organizations to be worthy targets. Just look at the statistics: fifty-eight percent of malware attack victims fall in the mid-sized category, according to Verizon’s 2018 Data Breach Investigations Report. IT professionals in mid-sized companies strive to achieve the same level of security as larger organizations and look into many of the same tools larger enterprises utilize. Gaining insight into what attackers have to gain from breaching a mid-sized company. Implementing basic security hygiene to secure the exposed attack surface. Establishing incident response workflows to handle a breach when it occurs. Enriching your selection criteria when choosing security products. Wade Richmond is the founder and CEO of CISO ToGo, a company that is the result of a long-held understanding that the growing level of global cybersecurity threats are no less impactful and critical for small to mid-sized organizations, than to large enterprises. 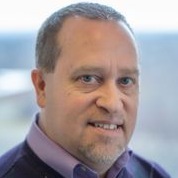 Prior to founding CISO ToGo, Wade worked as the full-time Chief Information Security Officer for such large enterprises as BJ’s Wholesale Clubs, Ahold USA, Sensata Technologies, GTECH Corporation, Citizens Financial Group and CVS Pharmacies. In these roles, he was responsible for providing leadership and direction to all cybersecurity and IT risk efforts associated with information technology applications, communications and computing services. 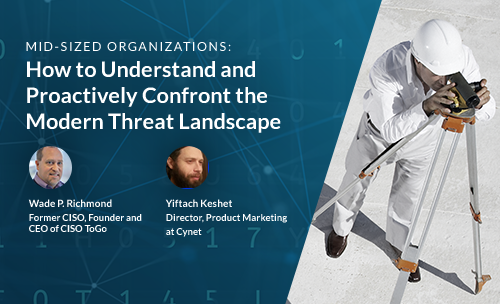 Yiftach Keshet is an active participant in the advanced cybersecurity industry, working in the past with leading startups and global enterprises in building various products across endpoint, network, SaaS, IaaS and IoT security. Today, he serves as Director of Product Marketing for Cynet.